Anyone on your team can add cards to your Wonderus knowledge base. 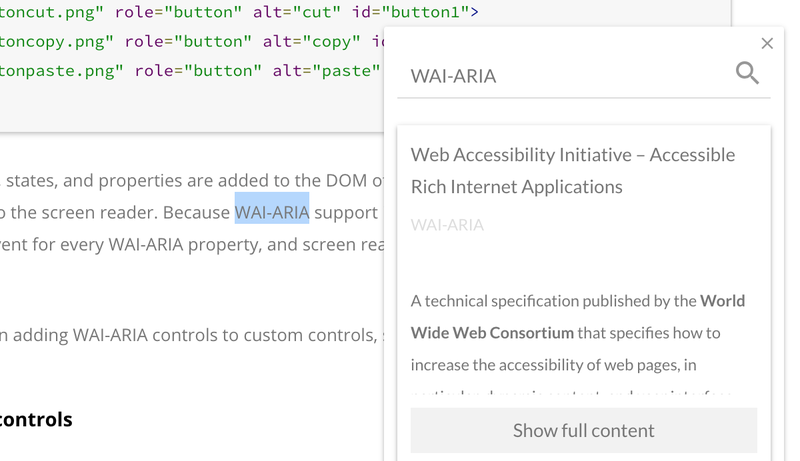 Create content with a beautiful and simple text editor. 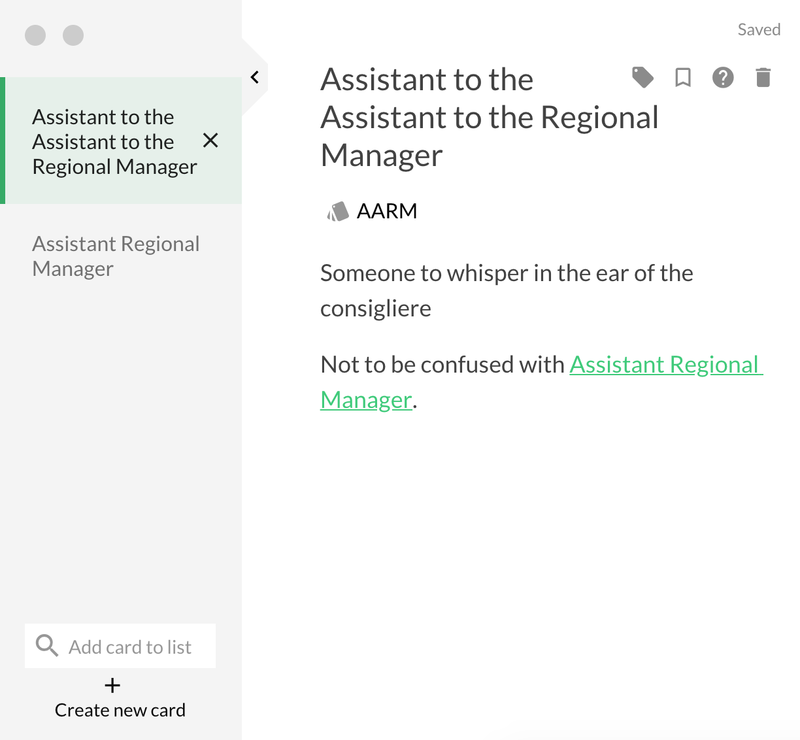 Add common shorthand so team members can search by acronym. Link cards together and quickly switch between them. Make your entire knowledge base searchable through Wonderus, your Slack team, or in Chrome extension. Your team language is always evolving. Team members can request new entries through Wonderus or Slack. Avoid repeat questions by linking questions to cards. Traditional wikis are broken. They require team members to switch contexts and are challenging to search. 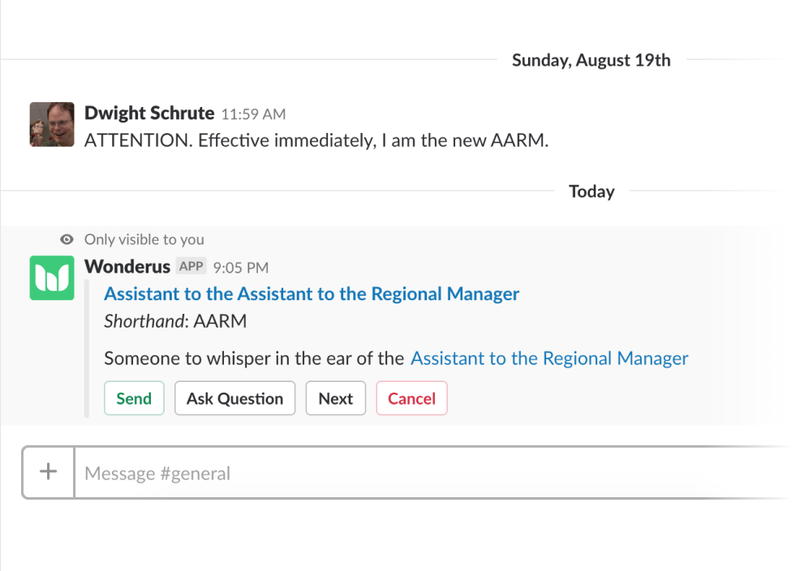 Our Slack application makes team knowledge available where they’re already working, just a slash command away. Use the Wonderus Chrome Extension to access your team’s knowledge base directly from your intranet, Google Docs, or just about anywhere else on the web. Your team members can just highlight text to search.